If your legal name has changed, your passport should be updated. The TSA requires the name in your passport and on your ticket be an exact match. Copy of your marriage certificate, divorce decree, or court order. for when your travel can't wait! Whether you’ve gotten married, divorced or have legally changed your name; you can quickly update your passport with your new name and/or address. The name on your passport must be the same as the name on your airline ticket. If your passport is less than 1 year old, no government fee is required for a name change. an additional fee to expedite your US passport in 1-18 days. Prepare your application, get a photo, and gather supporting documents. We hand-carry your application to the Passport Agency, and send your passport to you in as little as 24 hours. Travel safely, and have a great trip! But after that, the services do take over. The best of them can also answer questions and make the process simpler. In that regard, we were impressed with RushMyPassport.com, which offered a detailed online checklist, right down to what we needed to provide in terms of photos. Plus, the company's phone reps were extremely helpful. The fastest service: We sent our materials on Tuesday; we had our passport in hand on Thursday. Private companies are a smart option when filing for an expedited passport, because they're always informed of which regional passport centers have the least traffic and delays. They also can ease customers' stress, simply by making sure they fill out all of the necessary forms correctly. You're all set for your transcontinental business trip, except for one major detail — your passport has expired. If you can't afford to wait three weeks for the U.S. Department of State's expedited processing service, you're in luck. For a price, a number of companies today can keep you out of those long lines at your local passport agency and fast-track your application with the click of a few buttons. 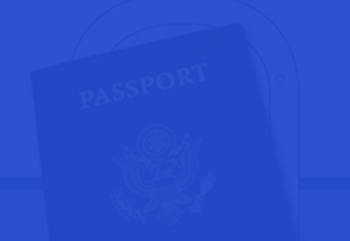 If you have a flexible budget but are short on time, a passport expediting company such as RushMyPassport.com can help with passport renewals. Some can get you a new passport in as little as 24 hours. We will be here to talk you through the process of collecting the necessary documents. We have customer support available 7 days a week via phone and onsite chat. Our order tracking system gives you clear visibility into the current status of your passport application so you never feel left in the dark. The US Post Office can take up to 3 weeks to expedite your passport. We can expedite your passport in as little as 24 hours.